Mo Williams goal this season is to knock the Celtics “off the throne” and he thinks he knows how to do it. 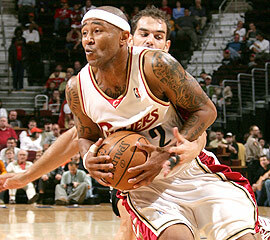 Mo Williams had 10 points, 7 assists, and 4 rebounds in 18 minutes against the Celtics last night. “Williams will threaten opposing defenses by pushing the ball hard on fast breaks. He will get open and easy shots when James is double-teamed or passing during a drive. While the Cavaliers would love for James to score close to 30 points per game, it’s not necessary with Williams around.